Food that comes in a wrapper isn't all ways unhealthy. Nature wraps citrus fruits in peels and eggs in shells making these foods easy to transport and have on hand. Apples, pears, peaches and plumbs are also convenient fruits to keep available. Rotate the type of fruit each week to ensure a variety of nutrients that can fight disease on multiple levels. Snacks that provide fiber, protein and fat are able to curb appetites for longer and prevent over-eating. Pair fruit with a hard boiled egg to increase protein intake and ensure satiety. The majority of the nutrients are provided by the chosen fruit in the form of vitamins, minerals, phytochemicals and fiber. Eggs, despite their oscillating status from public favor to public disdain, are a high protein source with B vitamins, including B12, and vitamins D, A and E. For whatever reason white eggs are much easier to peel and offer the same nutrients as their brown counter parts which have an undeserved "health halo". Sometimes it is in the most simple combinations we are provided with the most nutritious gifts. Make sure to buy eggs from pasture raised chickens. The waste from factory farmed animals has by far is the most devastating environmental impact on our planet. This unnatural practice is responsible for a complete imbalance in the ecosystem causing deadly algae blooms,acidification of the oceans, clean water shortages, deforestation and is the lead cause of climate change. The companies that are responsible for improperly disposing of the massive amount of waste created by these monocultures are not held accountable for their destruction of the environment. The amount of cruelty forced upon these birds and workers is inexcusable. Animal protein should make up a very small portion of the diet anyway which will decrease the demand for eggs and irresponsible agriculture. If you are going to include animal protein in the diet it is imperative to support responsible and sustainable agriculture through the purchases you make. Place the eggs into the medium sauce pan and fill with water until the eggs are just submerged. Heat the pot on medium heat and bring to a rolling boil. Allow the eggs to boil for one minute and then turn off the heat. Leave the eggs in the water until it cools to room temperature. Once cooled store in the refrigerator. 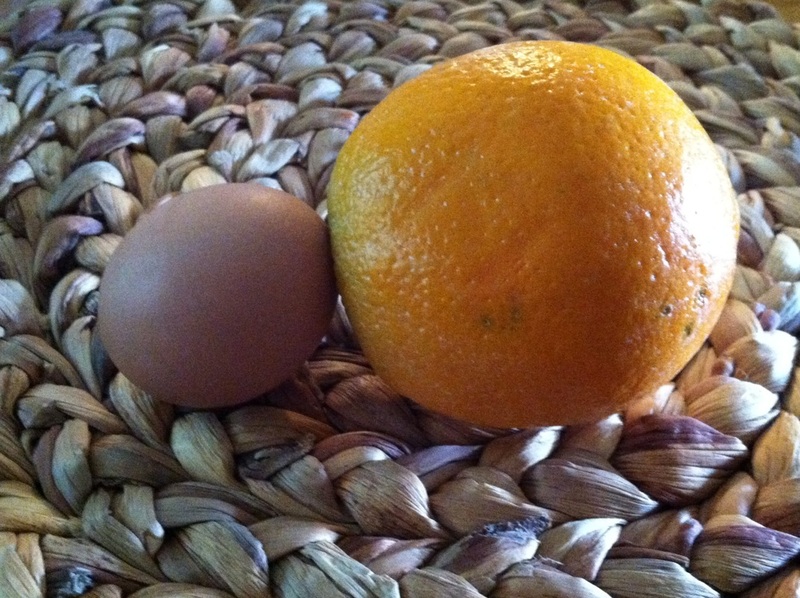 Amount Per Serving: One hard boiled egg and one orange. Nutrient values will vary based on the type of fruit.